Are you ready for the most delicious Brussels Sprouts ever? I hope so. They are crispy and sweet with a touch of saltiness. Chloe has requested that I always make Brussels Sprouts like this. Heat oil in a pot to 375°F. 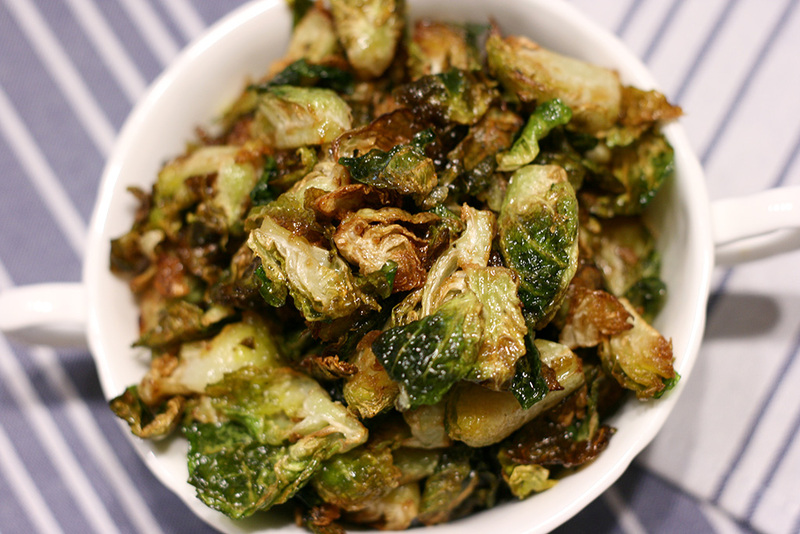 Fry half of the Brussels Sprouts at a time until they are golden brown, about 2-3 minutes. Drain on paper towels. Make sure the oil is back to 375°F before adding the second half of the Brussels Sprouts. 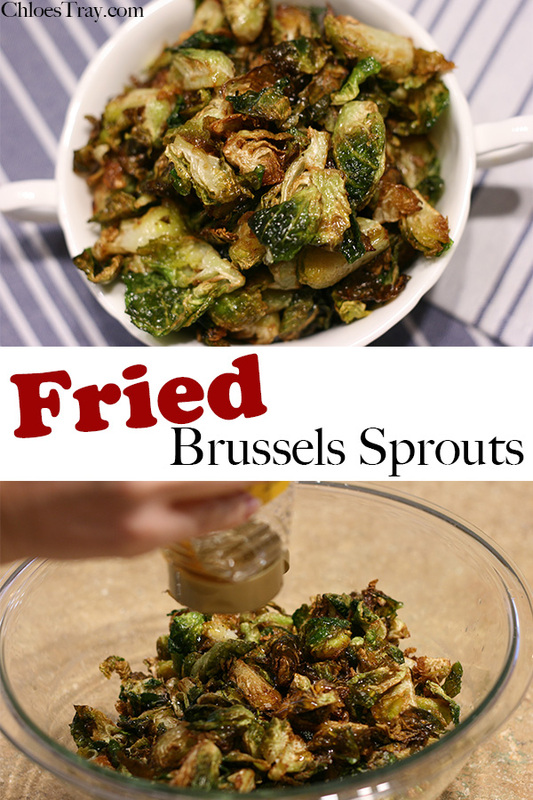 Put fried Brussels Sprouts in a bowl and drizzle with honey and season with salt. Toss to combine.